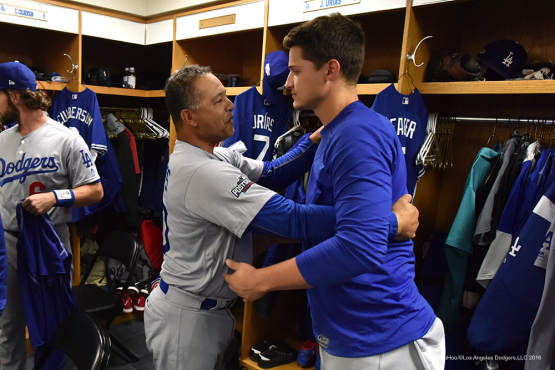 The Sporting News has named Dave Roberts its National League Manager of the Year and Corey Seager NL Rookie of the Year. Remarkably, Roberts is the first Dodger named Manager of the Year by the Sporting News since Walter Alston, who won the honor in 1955, 1959 and 1963, when there was only one award to cover both leagues. Leo Durocher was the first in the franchise to win the award, in 1939. During the Dodgers’ two World Series title seasons under Tommy Lasorda in 1981 and 1988, the Sporting News honored Oakland’s Billy Martin (1981 overall winner) and Pittsburgh’s Jim Leyland (NL 1988). Major League managers form the voting body for this award. Roberts won seven of a possible 14 votes in the NL, followed by Washington’s Dusty Baker and Chicago’s Joe Maddon, who had three apiece. 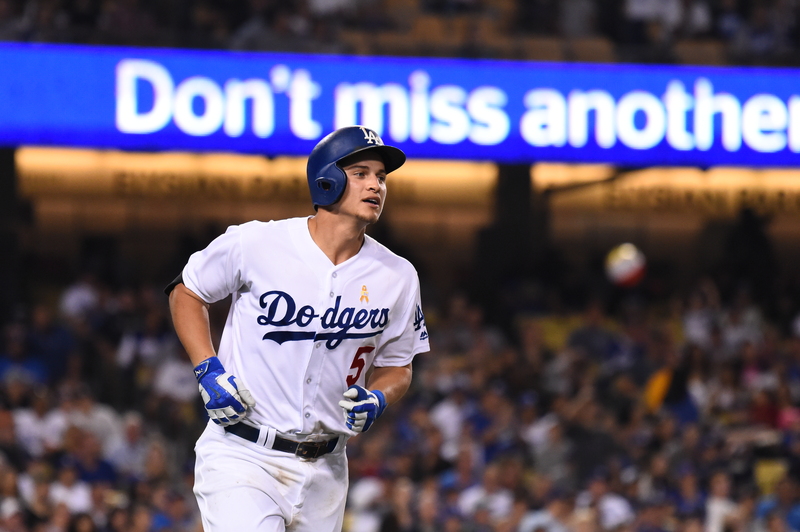 In what’s sure to be the first of many honors for Corey Seager, Baseball America has selected him as its Rookie of the Year. In his first full season in the majors, Seager hit .308/.365/.512 with 26 homers and 72 RBI. He finished in the top 10 in the National League in hits, doubles, runs, batting average and slugging percentage while hitting in the No. 3 spot all year for the NL West-champion Dodgers, and he did it all playing a solid, reliable shortstop. 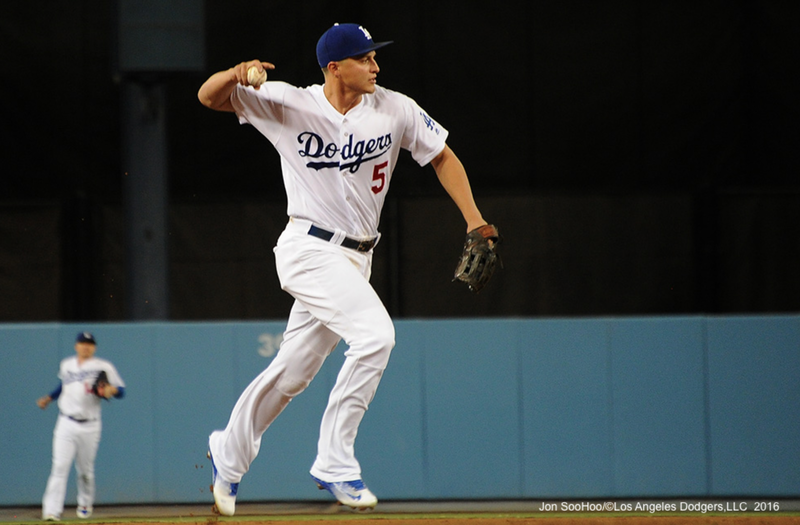 For all that, Seager is the easy choice for the Baseball America Rookie of the Year. 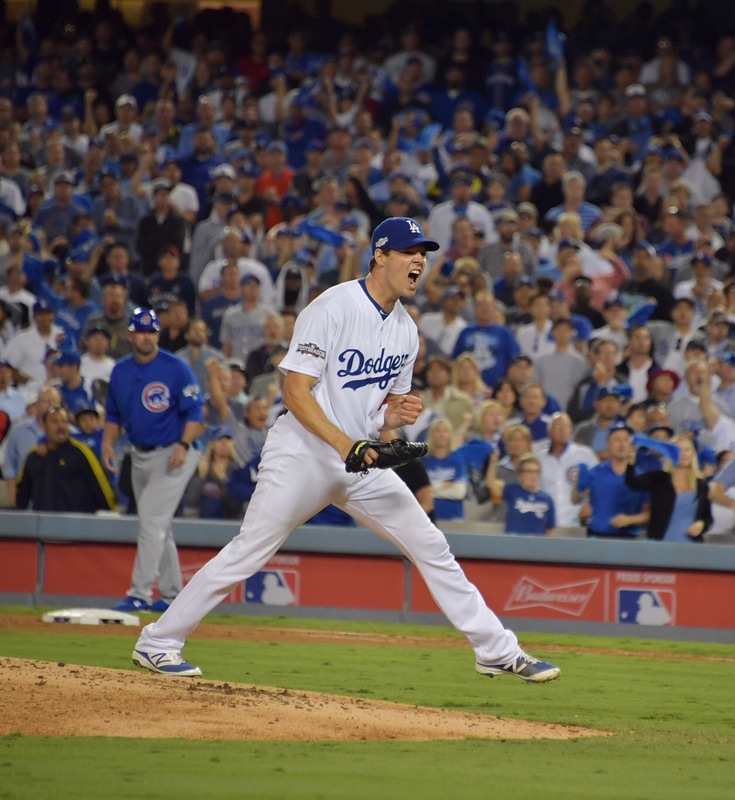 Seager is the first Dodger to win the award since Hideo Nomo in 1995. It has been given out annually since 1989. Mike Piazza (1993) and Raul Mondesi (1994) were also chosen for the honor. The Baseball Writers’ Association of America awards are announced in November. The cut on Rich Hill’s non-pitching hand looked small. The bruise on his psyche looked large. 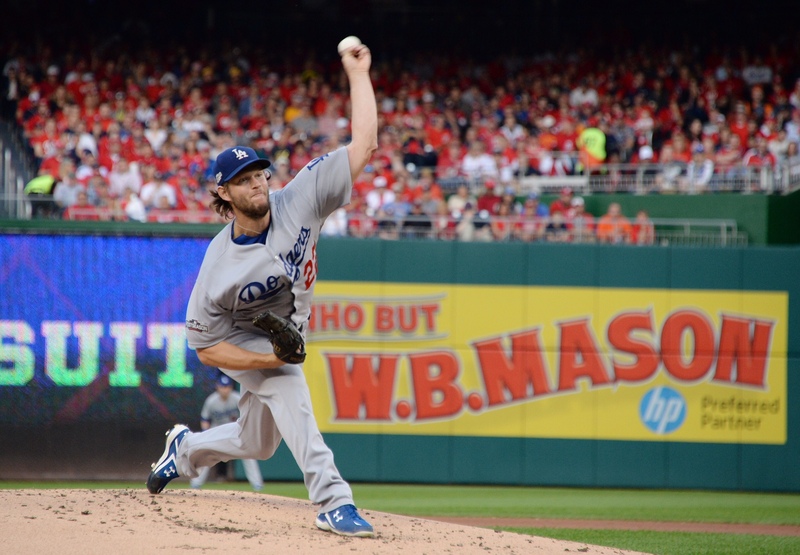 On a day that the Dodgers — baseball’s No. 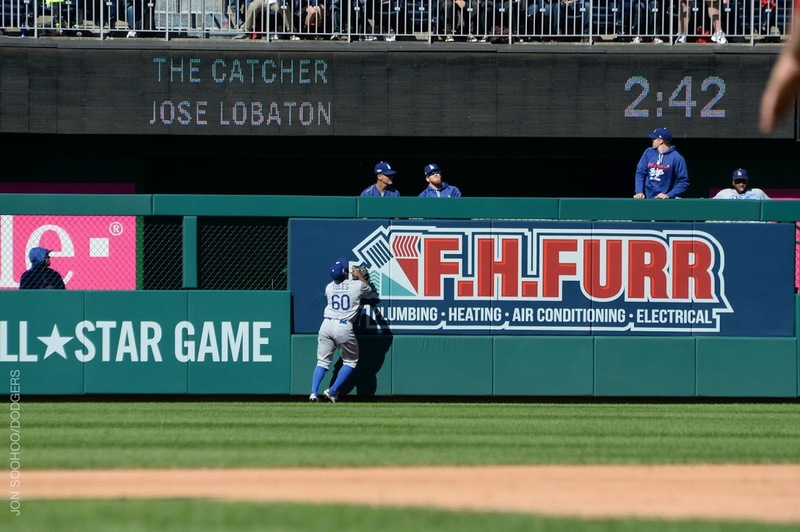 2 offense in 2016 with the bases loaded — couldn’t take advantage of five such at-bats, Hill saw a promising start derailed by a three-run home run from Nationals catcher José Lobatón, lifting Washington to a 5-2 victory that evened the best-of-five National League Division Series at 1-1. 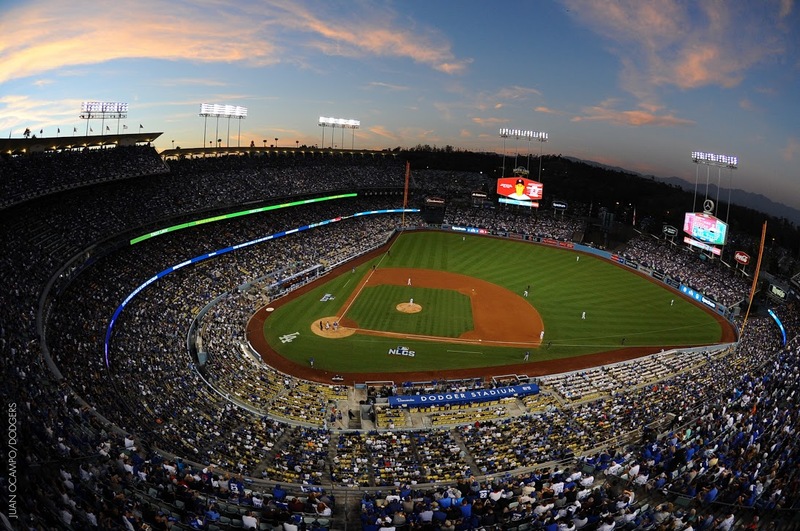 Game 3 of the NLDS takes place at Dodger Stadium on Monday at 1:08 p.m. Following Lobatón’s homer, Hill was shown on the Fox Sports 1 broadcast with the small mark on his right hand after banging it in the dugout in anger. It was not the only time today a Dodger would hit something hard in vain.